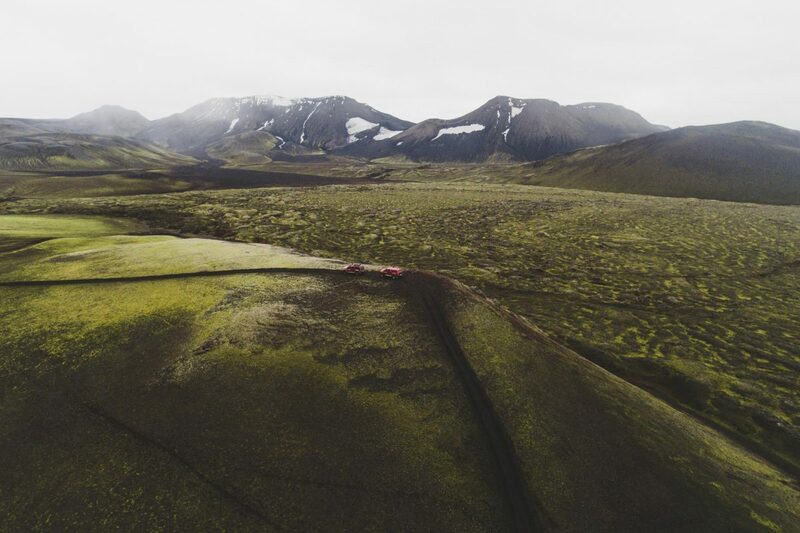 Landmannalaugar is renowned for its rhyolite mountains (in vivid hues of orange, creams and fawns), natural hot springs, and it's remote rugged landscape, located in one of the biggest geothermal areas in Iceland. 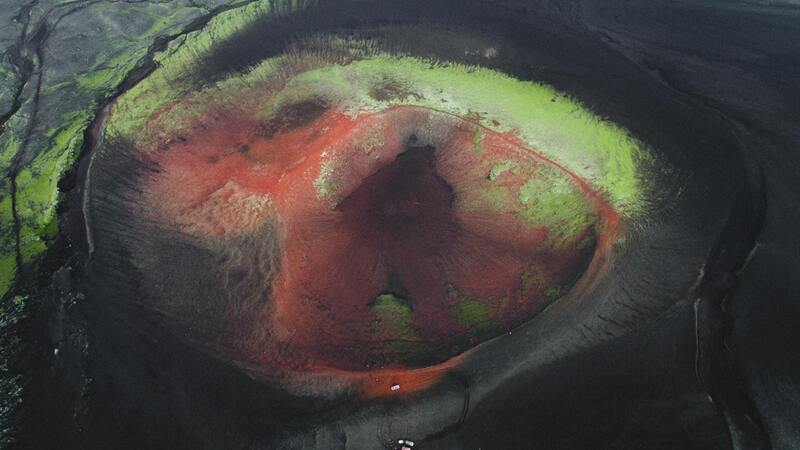 The area sits on top of the Mid Atlantic Ridge, on the Eastern Volcanic Zone. Departure time: 09:00 AM from the Midgard Base Camp. Swing by a little earlier for a nice cup of coffee! We can also pick you up at your accommodation in the area from 08:45- 09:15 (depending on your location). Group size: There is a minimum of 4 participants for this tour. In case of fewer bookings, we will give you two choices: alternative trip or 100% refund. Maximum size 16 people. 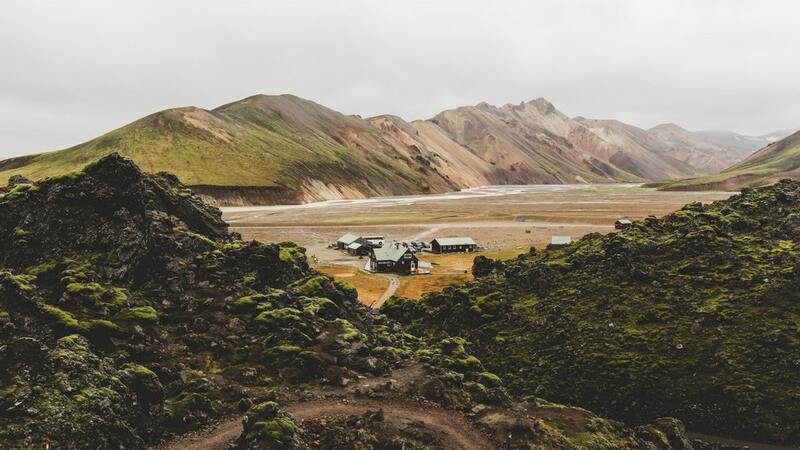 Landmannalaugar is renowned for its rhyolite mountains (in vivid hues of orange, creams and fawns), natural hot springs, and it’s remote rugged landscape, located in one of the biggest geothermal areas in Iceland. The area sits on top of the Mid Atlantic Ridge, on the Eastern Volcanic Zone. 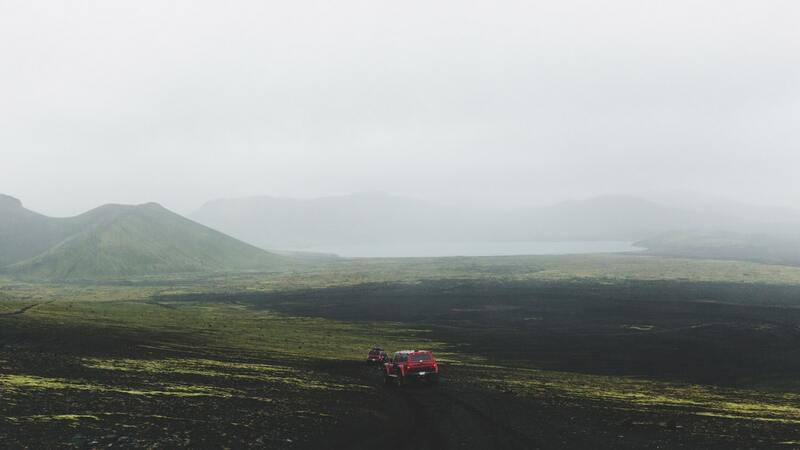 We drive in our super jeeps around the roots of Hekla, one of the most active volcanoes in Europe. 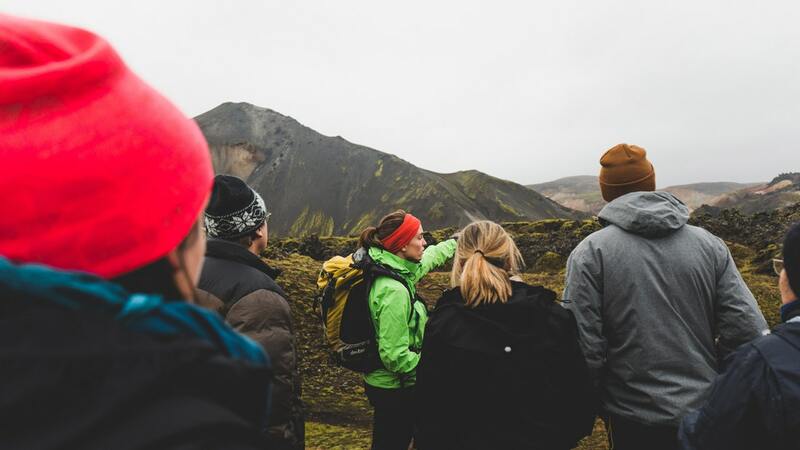 The route takes us through a landscape that has gone through dramatic changes since the Settlement with endless, contorted lava flows that have emerged from a myriad of different craters and fissures. 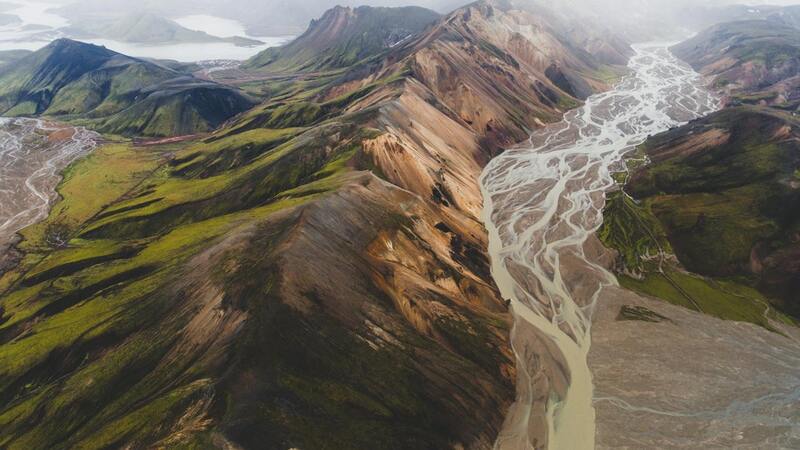 After a short and easy hike in Landmannalaugar (that takes your through the lava field of Laugarhraun, and amongst a landscape of many beautiful colors – blues, greens, oranges and reds), it is a just reward to take a thermal swim in a perfectly heated, natural hot spring that emerges from the lava flow you have just walked around.